They don’t call her a supermodel for nothin’. Just two months after the birth of her son Flynn, Miranda Kerr is back in fighting form and strutting her stuff in Balenciaga's Fall 2011 show during Paris Fashion Week. Wearing a slinky black dress with leather detailing, Kerr flaunted her post-baby body on the catwalk, stunning onlookers like hubby/Hugo Boss face Orlando Bloom and Anna Wintour, who were seated in the front row. Though Flynn wasn’t present for Kerr’s runway return, he did join his mom for her last Balenciaga gig: The Aussie beauty was five months pregnant when she modeled an oversize houndstooth shift dress and rubbery black jacket for the label’s Spring 2011 show in September 2010. 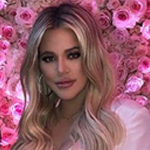 Kerr—who, according to her KORA organics blog “loved every minute” of her catwalk comeback—hasn’t revealed exactly how she shed those pregnancy pounds, but the Daily Mail speculates that nursing, which can burn up to 500 calories a day, likely played a part. Judging by her amazing appearance at the Balenciaga show, Kerr might have just launched a new fitness craze.